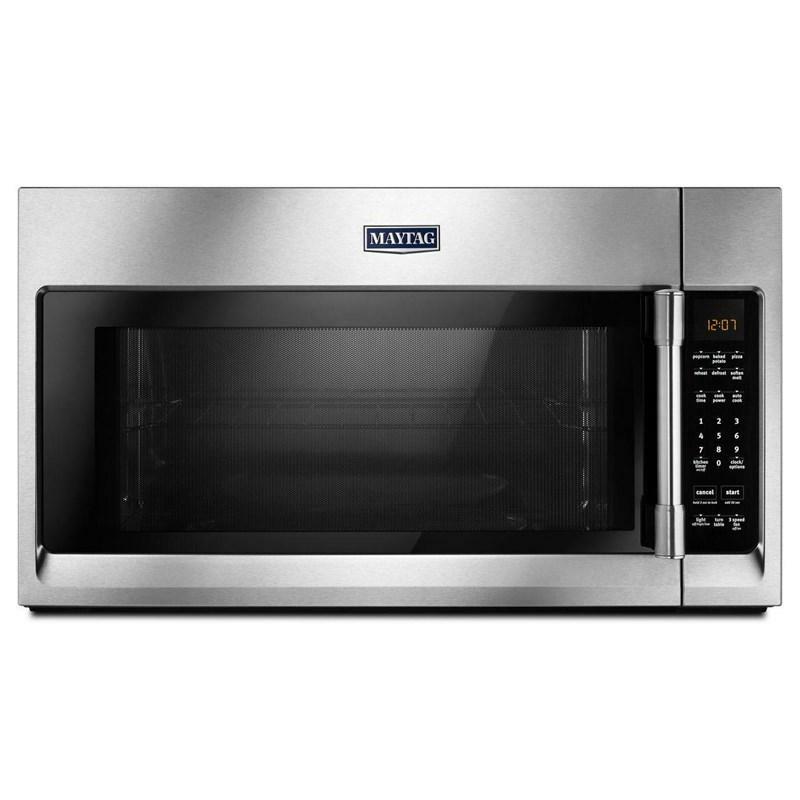 Maytag® 2.0 cu. ft. over-the-range microwave with an interior cooking rack. 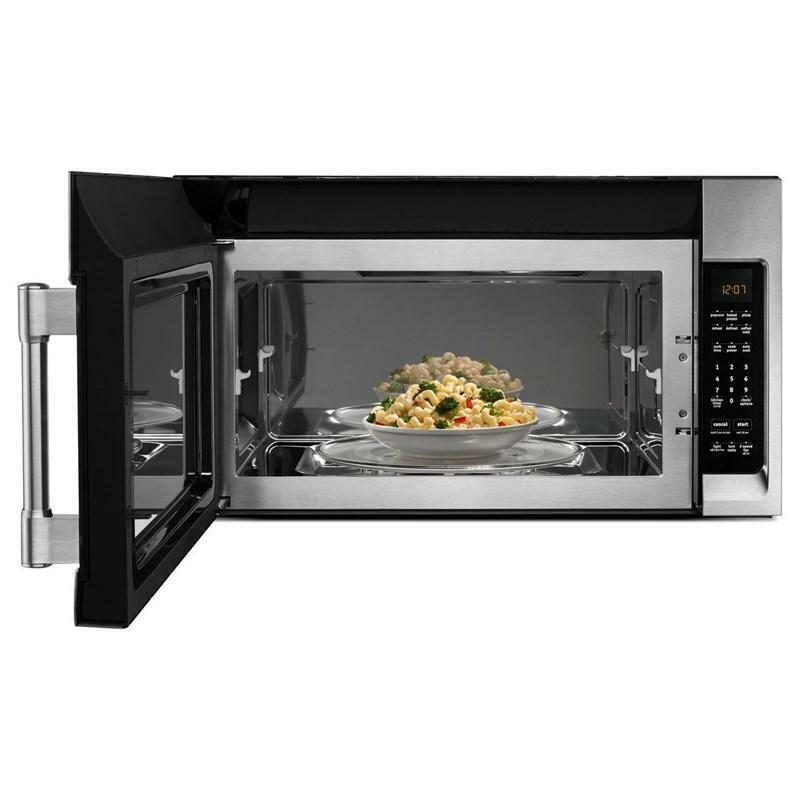 This microwave features a sensor reheat that helps to evenly reheat food by automatically adjusting cooking time as needed, and a multiple speed exhaust fan that removes smoke and odors as you cook. The control lockout option disables the control panel, so you don't have to worry about accidentally pressing buttons while you're cleaning.